France (Beauvais); Late 13th Century. Latin Text; Transitional Gothic Script. 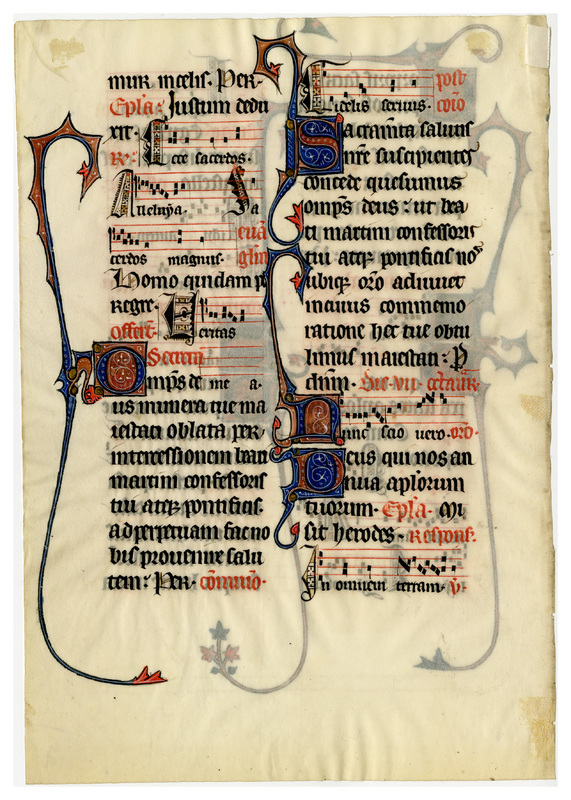 This manuscript, a special gift to a church in the city of Beauvais, was written for Robert de Hangest, a canon, about 1285 A.D. At that time, Beauvais was one of the most important art centers in all Europe. The ornament in this leaf shows the first flowering of Gothic interest in nature. The formal heiratic treatment is here giving way to graceful naturalism. The ivy branch has put forth its first leaves in the history of ornament. The writing, likewise, is departing from its previous rigid character and displays an ornamental pliancy which harmonizes with the decorative initials. The vellum leaves from this manuscript are among the most immaculately-prepared in the Ege portfolios; the whiteness of the surface provides an arresting contrast with the colors of the text and decoration. The pages have been trimmed, resulting in the occasional loss of some of the dragon-tailed extenders from the boxed initials. Leaves from this manuscript are especially widespread outside the portfolios. 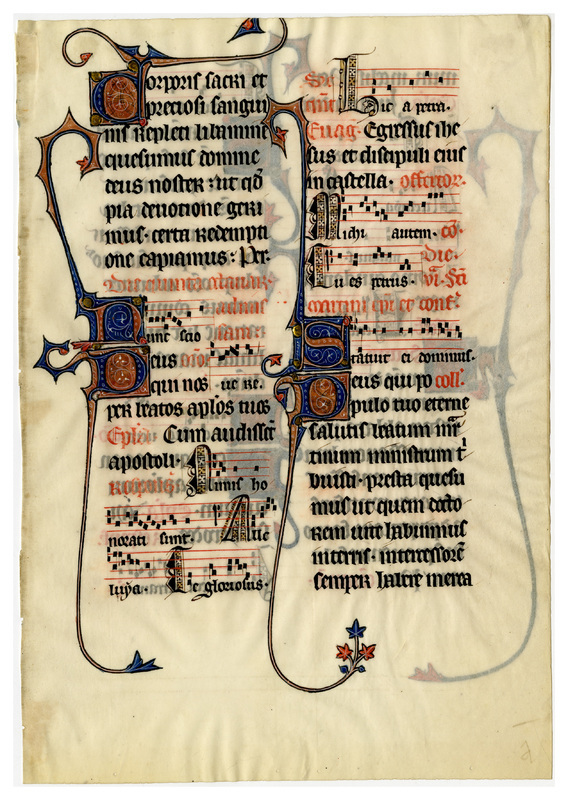 “E0015 Leaf from a Missal (Missale Bellovacense),” Digital Exhibits | Denison University Archives & Special Collections, accessed April 23, 2019, http://exhibits.denisonarchives.org/items/show/39.